Migrants are using the World Cup ticketing system to illegally enter the European Union (EU) without a visa. 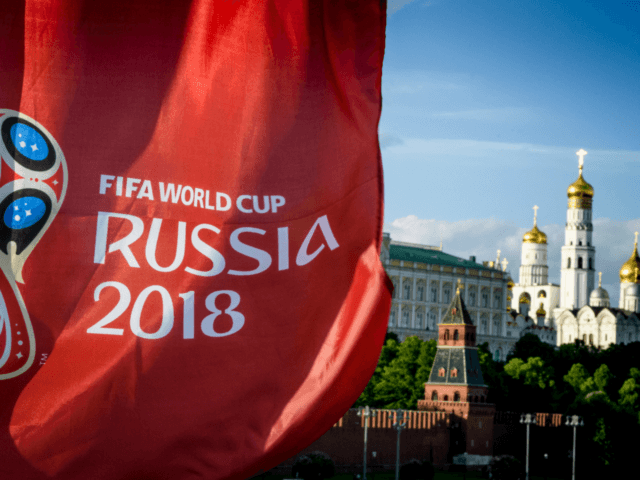 The tournament is based in Russia this year and a number of neighbouring nations have reported the “phenomenon” of this new form of immigration fraud. So far, the authorities, have identified a number of Moroccans, one Nigerian, and one Chinese person who have used fan ID to illegally cross from Russia, which is not in the EU, into Finland, which is, and apply for asylum there, Spiegel Online reports. The Moroccans walked for several hours through forests to reach Finland, said border force spokesman Ville Mihl. The Chinese migrant had taken a flight from Russia to Helsinki with a World Cup fan ID, and the Nigerian man had initially submitted a fake Brazilian passport before using the fan ID to enter Finland. Belarus, which has joined the Eurasian Union rather than the European Union, also picked up four Moroccans and an unspecified number of Pakistanis trying to cross their borders with the EU at Lithuania and Poland. The Eastern European country signed an agreement with Russia allowing World Cup ID holders to enter without a visa prior to the tournament. He explained that the Moroccan individuals have been detained and face fines, deportation, and a five-year ban from Belarus, but the status of the Pakistani nationals appears to be unknown.